Your life on your walls. A client recently came to us with a mask that he wanted to frame. 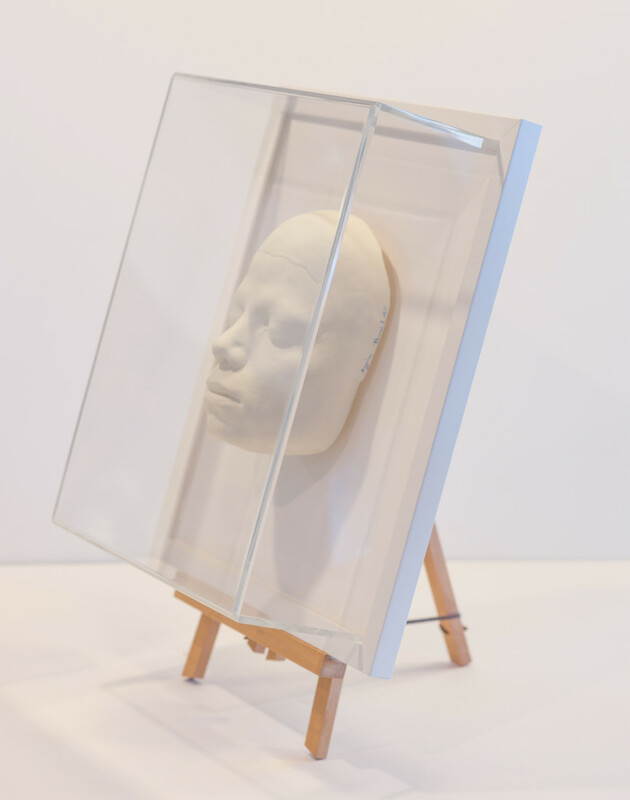 It is a resin mask taken from a life cast of Michael Jackson. The cast was taken during the shooting of the “Thriller” video as a means for the makeup artists to be able to transform his face throughout the video. 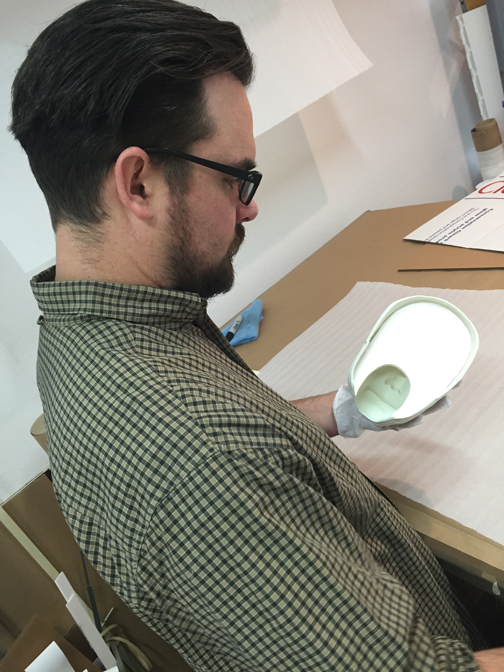 The mask is signed by the artists, so we wanted an archival mount without using adhesives. The solution Zach came up with was to build an acid free foam base the exact size of the opening. 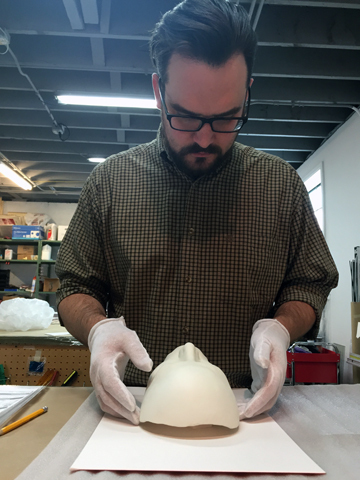 To give the mask the illusion of “floating” off the mat, Zach then built up the back of the mounting with smaller sections of acid free foam core. The client was planning to light the entire piece once displayed in his home and so opted for a white on white style of frame and mat. We used white rag mat from Crescent and a bright white frame from Larson Juhl’s Alto line. 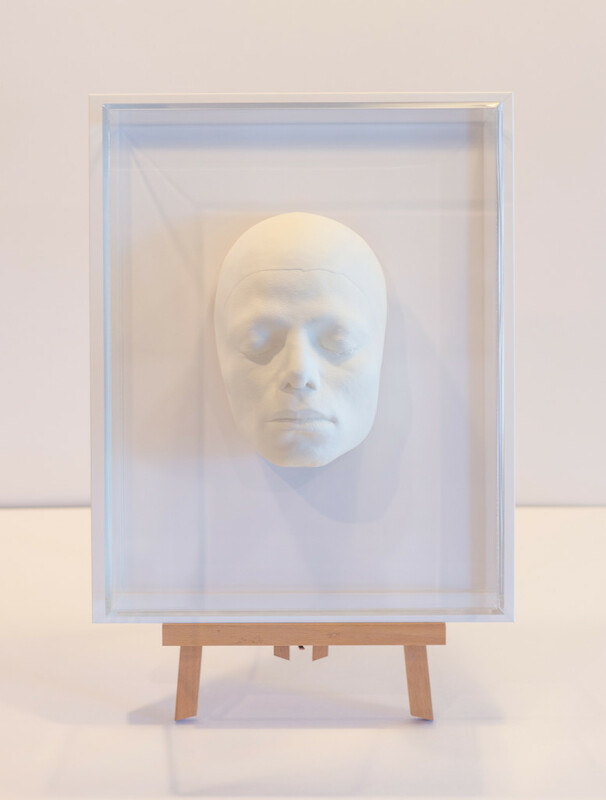 The uv plexi glass box makes the signature and every side of the mask clearly visible. Zach and Kendra Custer have been custom framing for a combined 30 years in the Denver area. In addition to offering picture framing and portrait photography, their large gallery features local, emerging artists. 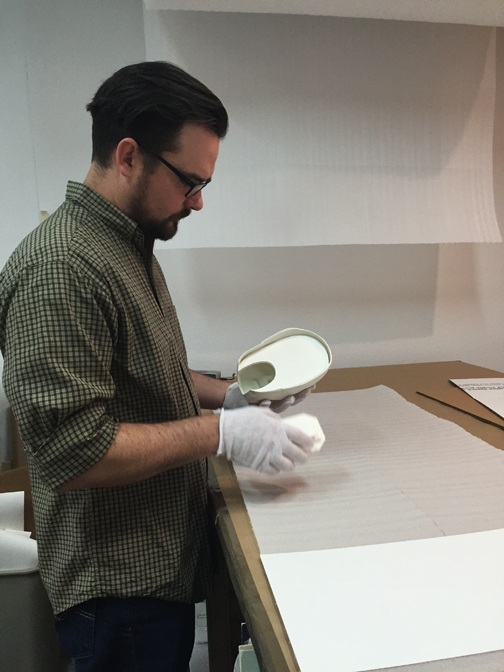 Whether you're looking for affordable custom framing with superior customer service, a family portrait or a new piece of art, Anthology Fine Art is your one stop shop.